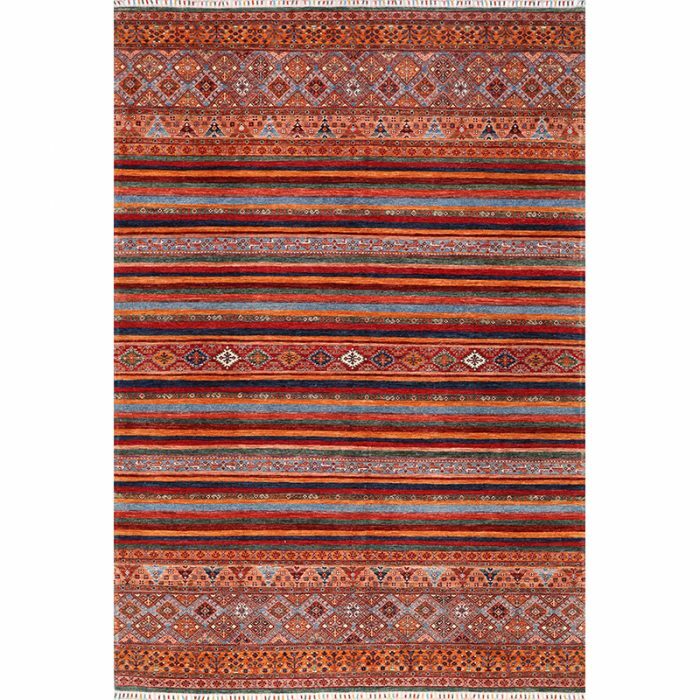 Traditional hand-woven Turkmenistan Tribal Rug from RenCollection Rugs – This traditional hand-woven Turkmenistan tribal rug features a simple but striking striped design. 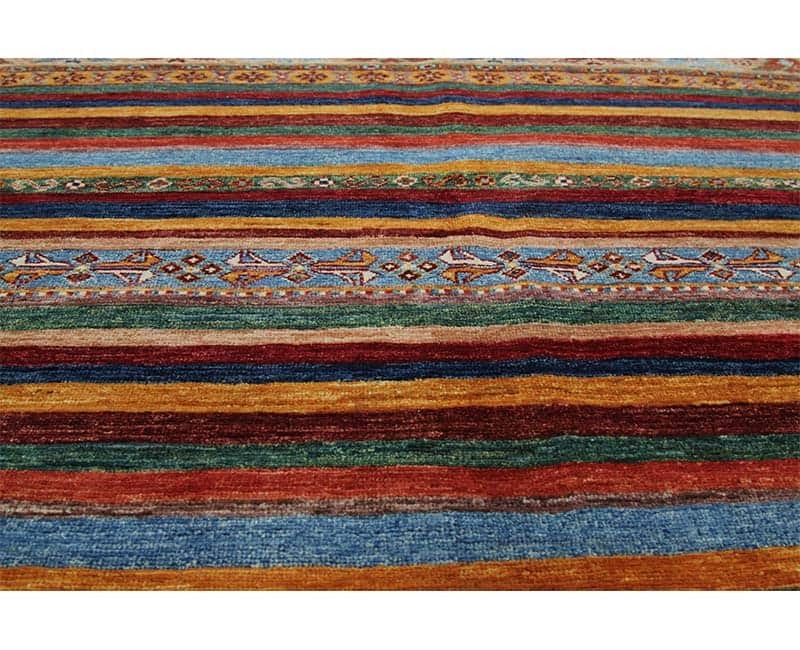 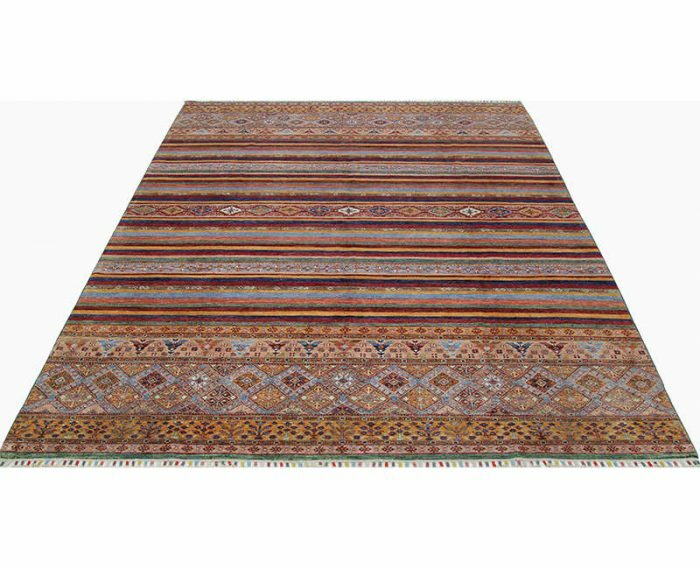 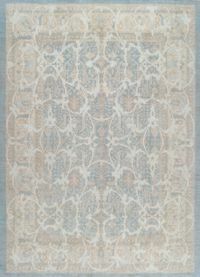 This beautiful rug fits perfectly into any design style from navajo chic to contemporary eclectic. 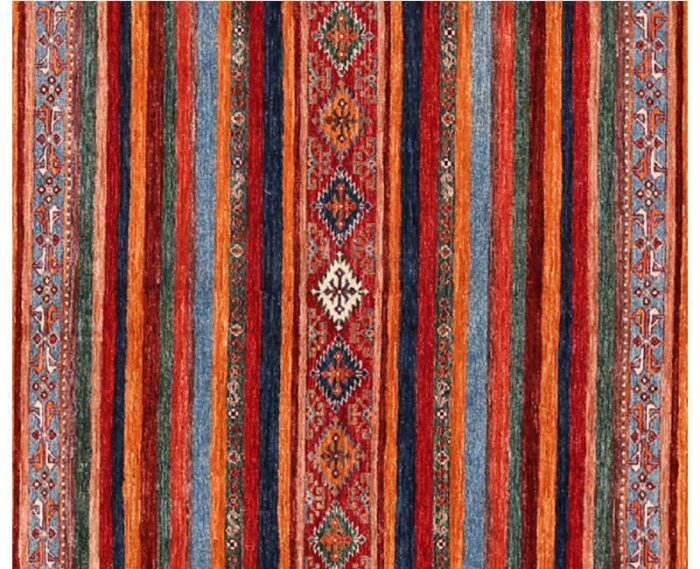 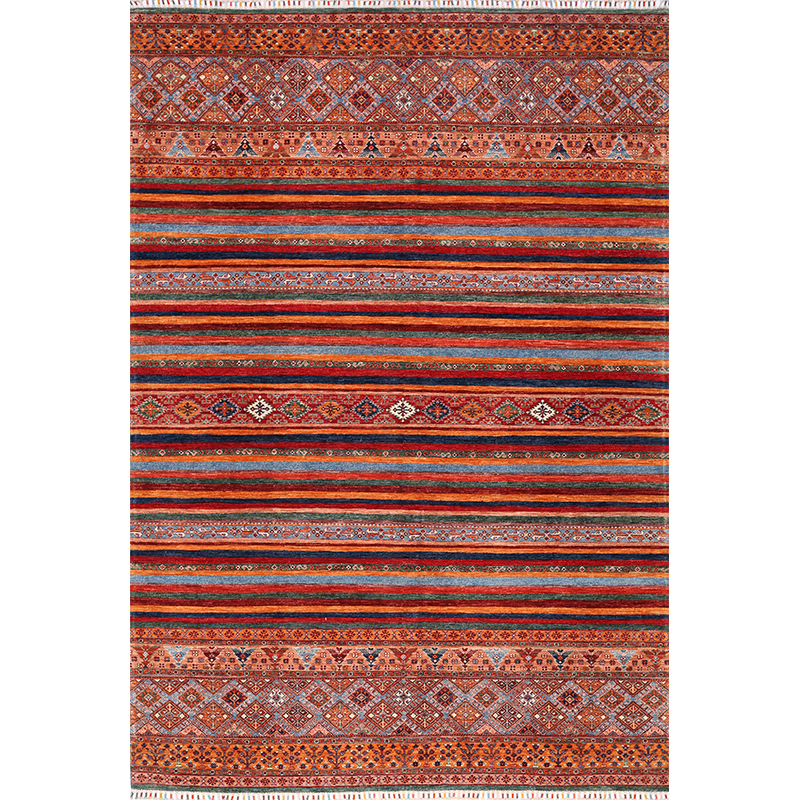 Traditional hand-woven Turkmenistan tribal rug featuring geometric motifs contained within horizontal lines in royal blue, red, ivory, and peach. 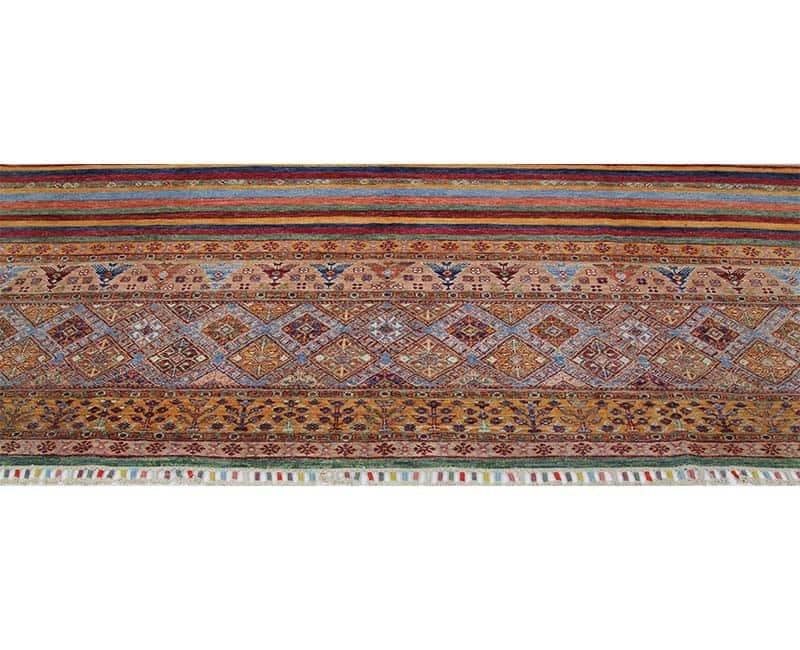 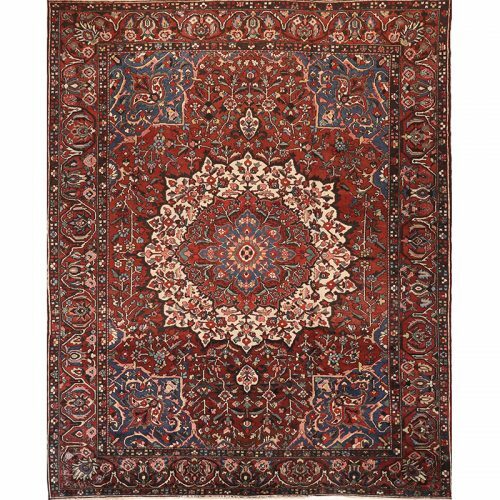 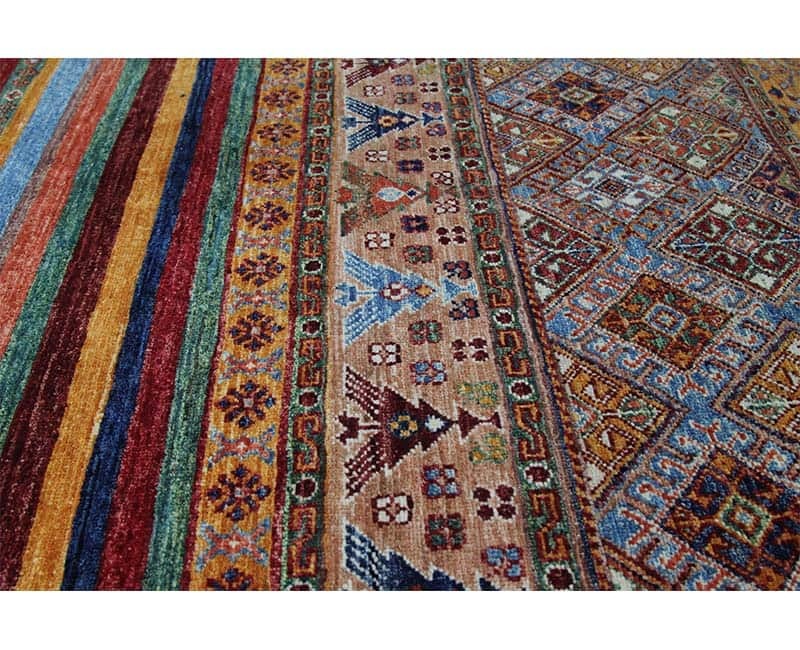 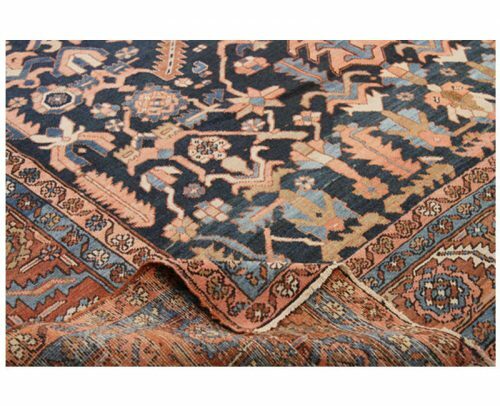 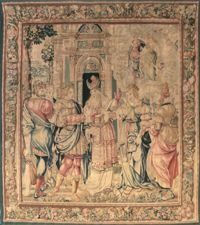 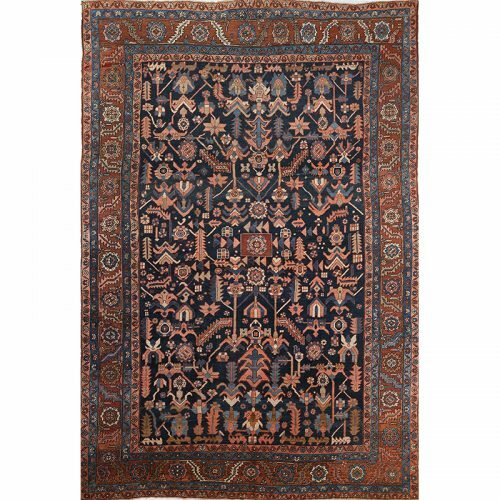 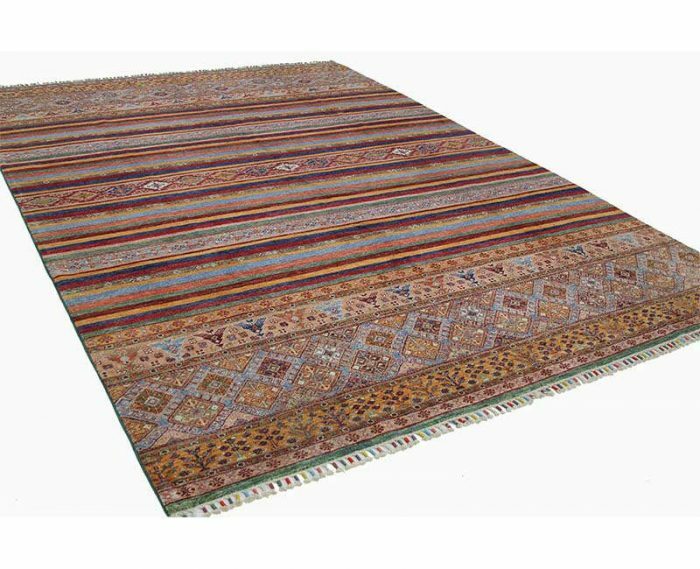 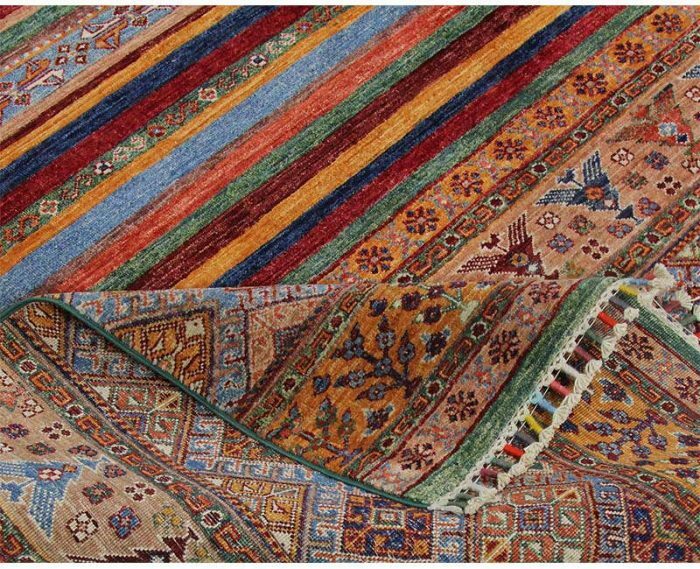 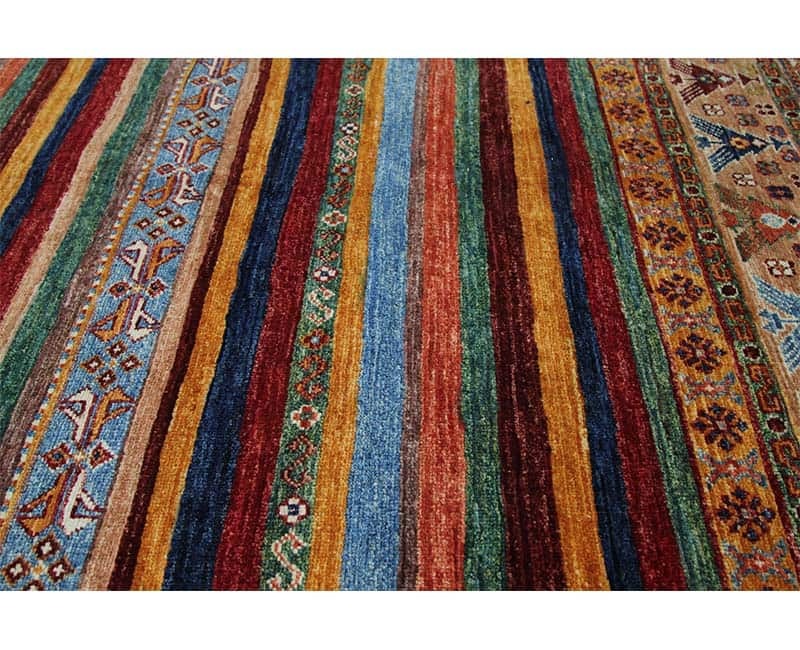 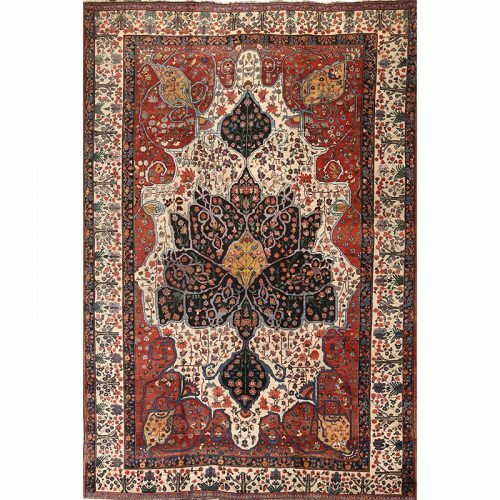 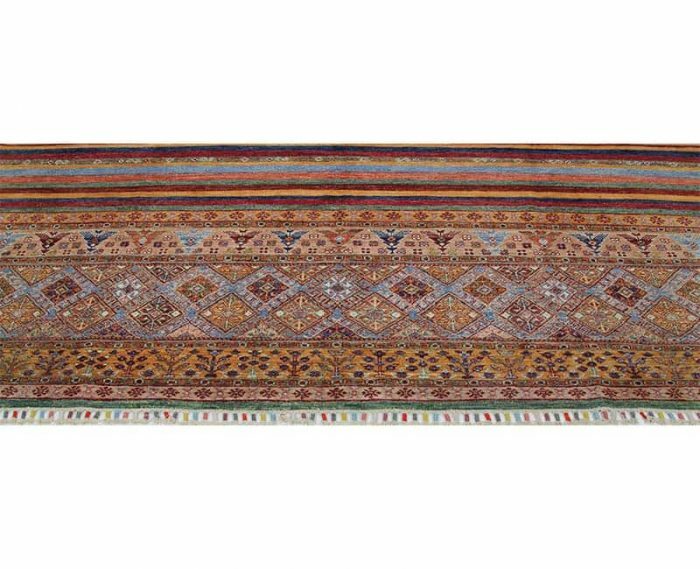 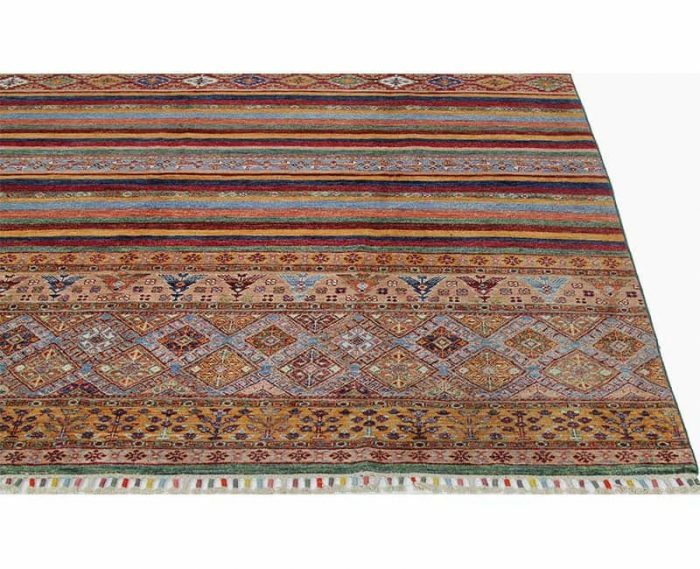 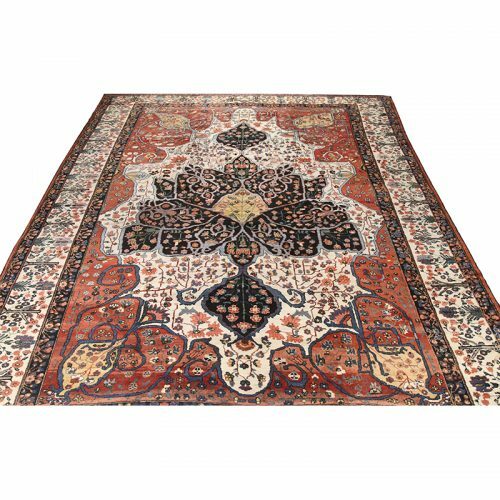 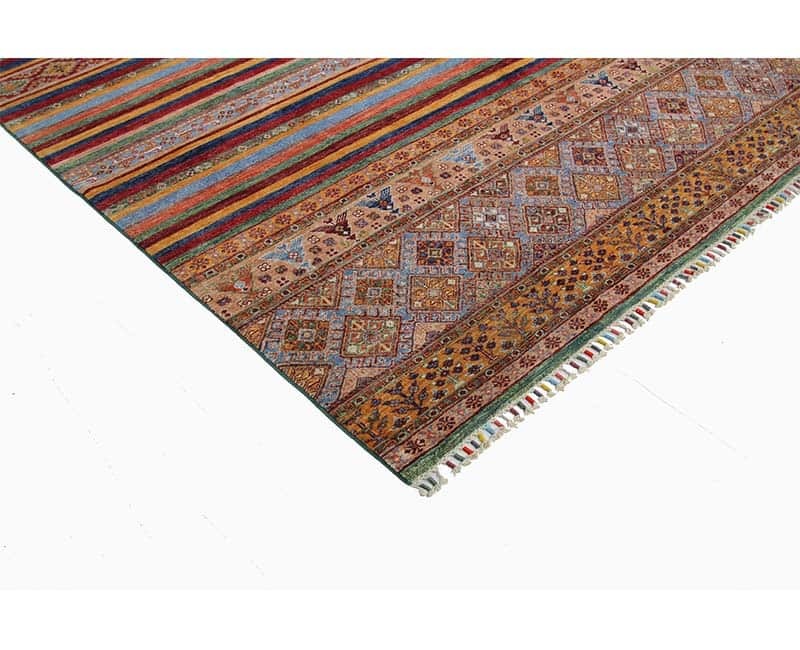 Each ends of the rug has multiple diamond shaped motifs in blue, red, and peach. 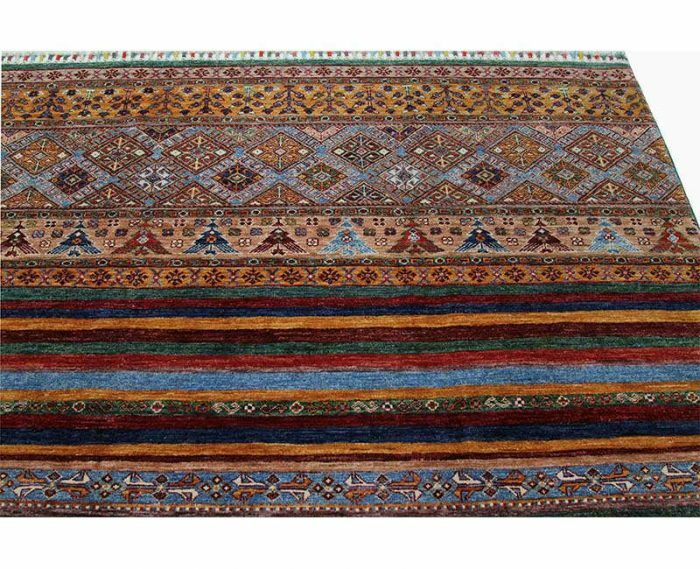 Created from 100% wool in Turkmenistan.